Frank Miller's seminal graphic novel The Dark Knight Returns redefined Batman for the 1980s with its grim take on Gotham City's champion, a man who had retired in the face of tragedy and was forced to once again don the cape and cowl when his city was threatened. Medicom recreates Miller's take on Batman with the new Batman: The Dark Knight Returns RAH Figure. 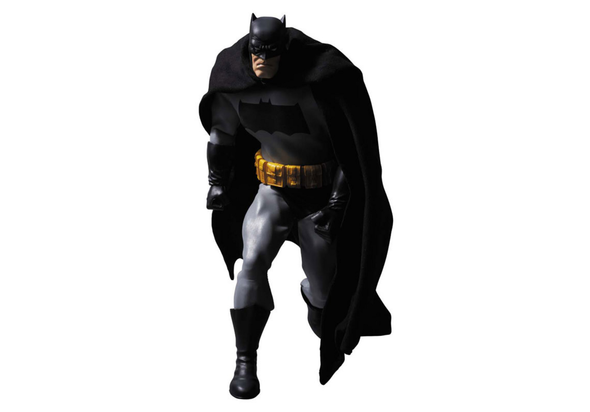 Medicom's Real Action Heroes figure brings the character to life as a 12" tall figure with fabric clothing and fully-articulated joints, making this one of the most accurate Batman figures ever created.